← Which Army Won the War? Jesus Christ, the Bridge Insights from a lecture to Royal Army Chaplains in training. 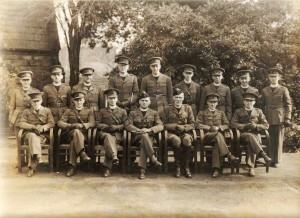 A Canadian Army chaplain played a key role in the backstory to We Never Stood Alone. 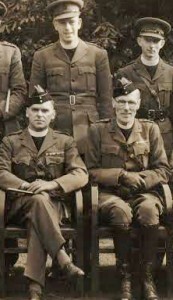 Lloyd Robins and Ned Powell were brought to faith though a dedicated layman – Pete Miller – and through a chaplain, Padre Martin. In the next volume of the Stokely Chronicle the chaplaincy will also play a role, and I’ve enjoyed researching it. One of the neatest things I’ve run across is a distinctly spiritual component to chaplain training. One last word this morning. These odd addresses of mine, such as they are, rough and unpolished, have as their burden, and as their only burden, our Lord Jesus Christ. Men have the oddest ideas about God. God is an unknown quantity to the vast bulk of our manhood. The word ‘God’ may mean nothing to them; but, believe me when I tell you that men will always listen if you talk to them about Jesus Christ. Whatever they may believe about Him, He always draws men to Himself. It is quite astonishing, that. Jesus Christ is the burden of our message. You can talk to men about a thing, or a system, and leave them cold, bored, shuffling, and coughing. You can talk to them about a cut and dried scheme of theology and make no contact with them at all. But you can talk to them about Jesus Christ, and a hush will fall upon them. And so there is no need for me to apologize for the fact that the burden of these addresses here is the love of our Lord Jesus Christ. And, please God, by the time that this course is over, you and I together in this chapel, which has become a sacred place for so many of your predecessors, will have been able to see a little more of the glory of God, in the face, the most human face, of the Lord Jesus Christ. Amen! Timeless truth, needed in our time.